Whoever said that only six-pack abs and a lean physique give you the freedom to walk shirtless in public, maybe needs a new perspective. 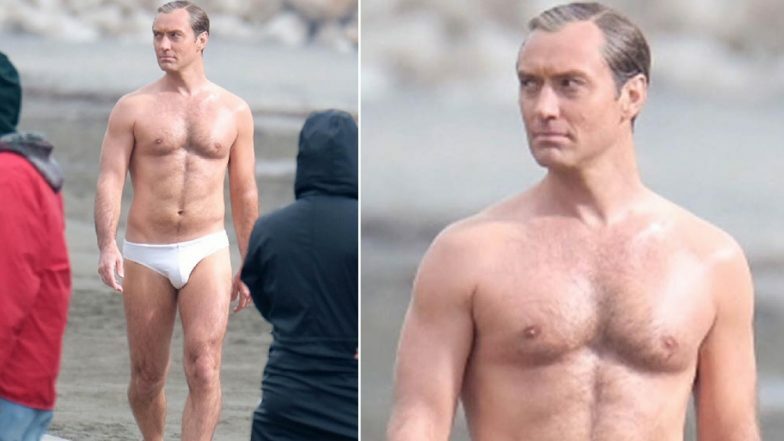 A picture of Jude Law on the sets of The New Pope, wearing nothing but a pair of white speedos, went viral this week. The actor is the hero figure for everyone, who has the confidence to pull off any outfit, not depending upon the body structure. Jude is the popular face of a critically acclaimed series and a supporting actor in many blockbuster movies. The actor stands as a living model of the man next door, who is ageing, balding and yet pulls it with utmost confidence. The confidence is dearly attractive and brings out the inner charm. We thank the actor to bust the bubble of the showbiz personalities and making the ordinary extraordinary! Did Captain Marvel Negative Review Attack Cause Rotten Tomatoes to Ban User Comments Before a Film’s Release?